Okaloosa/Walton County Divorce Attorney: Why Contact The Wheeler Firm? Why Contact The Wheeler Firm? Divorce is a taxing experience for anyone. Not only will you have to deal with the emotional toll that comes with separation, but you’ll also have to deal with the financial and legal burden as well. It’s during these hard times that The Wheeler Firm is here to support you. Backed by over fifteen years of experience and knowledge, we are prepared to represent you and fight for your best interest when you need it the most. A divorce can be unnecessarily complicated at times. You’ll need an attorney who’s well-acquainted with Florida law concerning parental rights, asset protection and division, child support, alimony and other rights that are at stake in the divorce. Let’s take a look at some of the reasons The Wheeler Firm should be your first choice during a divorce. There’s no overstating the importance of experience when it comes to divorce law. All licensed attorneys have passed the bar exam, but experience provides an attorney with practical skills to be used for the individual client. Attorney Andrew Wheeler has taken hundreds of family law cases, including a wide range of divorce cases, to trial over the course of nearly 16 years. We have experience with all types of divorces and will be able to help you understand what your legal rights and obligations are moving forward. Through that experience, we have developed a proven system to develop your divorce case, and aggressively advance your goals. Here at The Wheeler Firm, we are focused on family law cases. Family law is unique in that it can be very emotionally sensitive, and each case has a huge impact on our clients’ life and well-being. We are proud to approach each case with a sense of compassion and accountability. We understand that no divorce is desirable, but if the appropriate process is followed and you have someone at your side who is protecting your best interest, the experience a lot less difficult for you and your family. There’s no better way to rate a divorce attorney than by the reputation they’ve earned in their community. We served the Okaloosa and Walton County area and have earned an Avvo rating of 9.9. What this means is that we consistently meet and exceed expectations when it comes to providing our clients with consistent and knowledgeable services, supporting their best interest, while at the same time, staying compassionate during a difficult and emotionally draining experience. Divorce laws can be confusing and the demands of court litigation can be overwhelming. 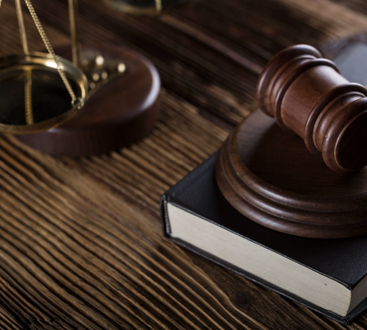 With so much at stake, it is crucial to work with an attorney like Andrew D. Wheeler, who has a clear understanding of the legal and evidentiary standards that will be used to decide your case. If you need help with your divorce, or are planning for divorce, give us a call today at (850) 613-6923. Based out of Fort Walton Beach and Miramar Beach, The Wheeler Firm should be your first choice for family law services in Florida. With over 15 years of experience, we can help with any case pertaining to divorce, adoption, custody modification, paternity, child support enforcement, long-term planning, and general family law cases. We are always available to talk so give us a call or fill out our contact form to get started.